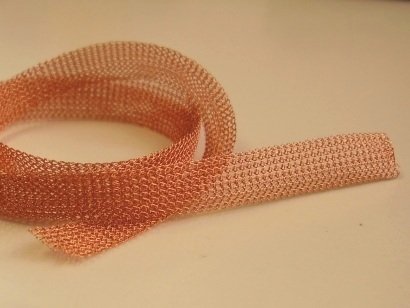 Description : Small conductive tape made of coated copper fine wire (112 micron).It is very flexible, easy to cut with scissors, it can be sewn with a standard sewing machine. The surface of this tape has a good insulation thrughout its lenght. It can be easily welded, just solder it as a standard non coated copper wire. The coating will melt and tape will be soldered.